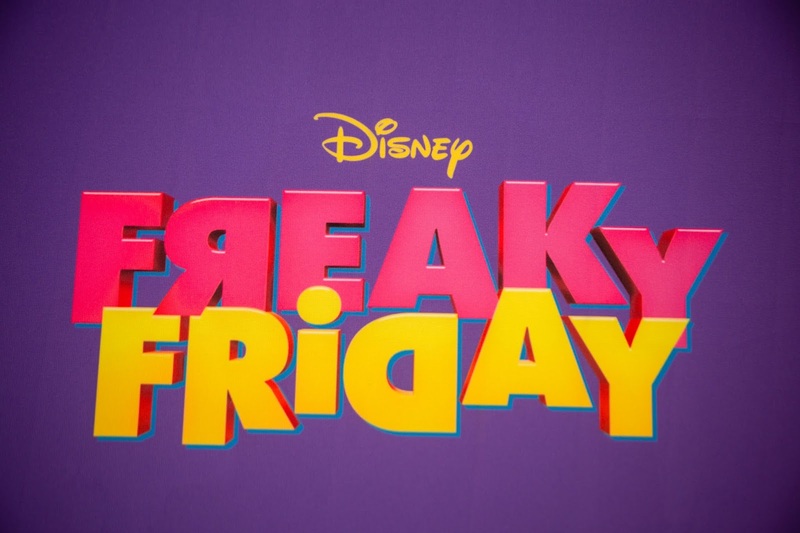 Written by playwright Bridget Carpenter, the film is based on the book Freaky Friday by Mary Rodgers. This fresh, new version flips the traditional movie format and spins it into a musical! 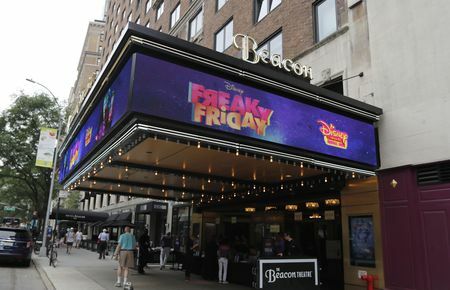 We were thrilled to be invited to the Red Carpet premiere at the Beacon Theatre in New York City by The Moms. The day started with a five star brunch at The Essex House followed by a Q&A with stars Cozi Zueshlsdorff (Ellie), Heidi Blickenstaff (Katherine) and Executive Producer Susan Cartsonis. The stars of the film are talented, charming and were happy to answer a ton of questions from our curious group. Insights as to what it is like to work for Disney ("Truly a dream come true.") and what it felt like to flip and play two different characters in the same movie kept us wanting to ask more! What a fun, star studded event! You can see more photos by doing a search for the event online but a few of our favorites are below. Just as were are getting to know Ellie and her Mom they switch places thanks to an argument involving a magical hourglass. Without spoiling too much, Mom and daughter get to spend a day in each other's shoes and antics ensue. The plot is fun, the acting is on point and the musical numbers will leave you wanting more. If you liked High School Musical and the Descendants you are going to be happy. Even Ellie's nemesis Savannah played by Dara Renee is charming in a Maleficent kind of way. You wouldn't want to be friends with Savannah, you certainly wouldn't want to be her enemy but you will definitely want to see more of her. 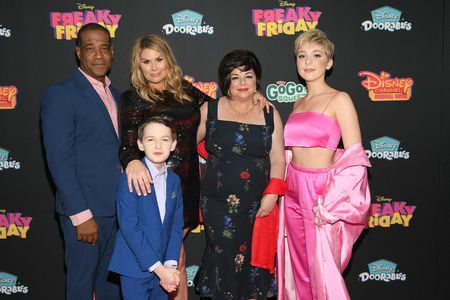 Freaky Friday is a film that the entire family can enjoy together. It will appeal to parents, tweens and younger children alike. Even the grandparents are going to want to sit in on this one for the Broadway feels. 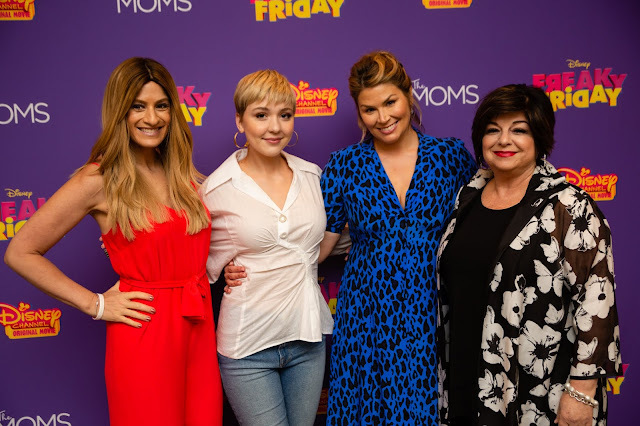 Freaky Friday premieres 8pm August 10 on Disney Channel. It will be available earlier on DisneyNOW and 12:01 AM ET/PT on Disney Channel VOD. That's amazing that you got to go to the premiere! I can't wait to see the new version. I remember seeing the original movie a very long time ago. The one even before Jamie Lee Curtis and Lindsay Lohan! What an exciting event to be a part of! I didn't realize this would be the fifth version of this movie! Can't wait to see this new version! When it comes to Disney movies, I like the originals. I suppose that we will see how this one is different! I loved the original and am excited and interested in checking out the remake. We'll see how it stacks up!